Bretford introduced a pair of unique tablet charging stations – the PowerSync Roller 10 and PowerSync Roller 20. 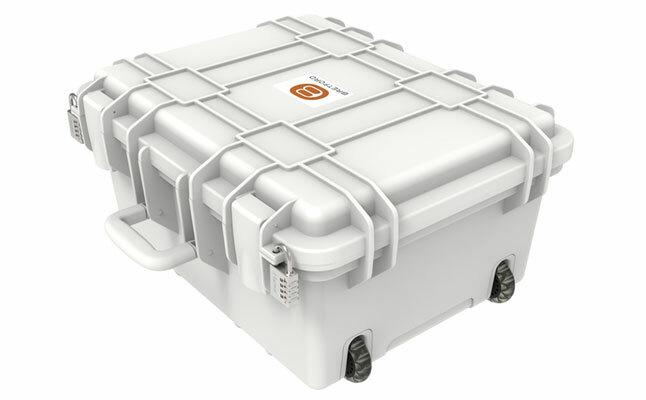 The cases were designed to store, protect, charge, sync, and transport several Apple products at the same time in a safe and comfortable fashion. The PowerSync Roller 10 fits ten Apple new iPads, or twenty iPad Minis. 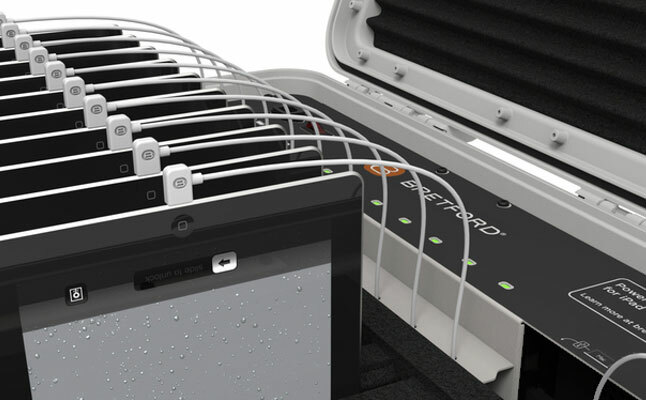 The PowerSync Roller 20 from Bretford can accommodate up to 20 iPad Minis, iPhone 5s, or iPod Touches. The tough polycarbonate exterior protects the devices from impacts and bumps, while the ultra-soft foam interior adds another layer of protection and takes care of scratching on the inside. Both new iPad cases come with integrated charging and sync capabilities as well as either 10 or 20 lightning cables preinstalled. The Apple iPad Mini cases feature LED indicators depicting the level of charging at any time. 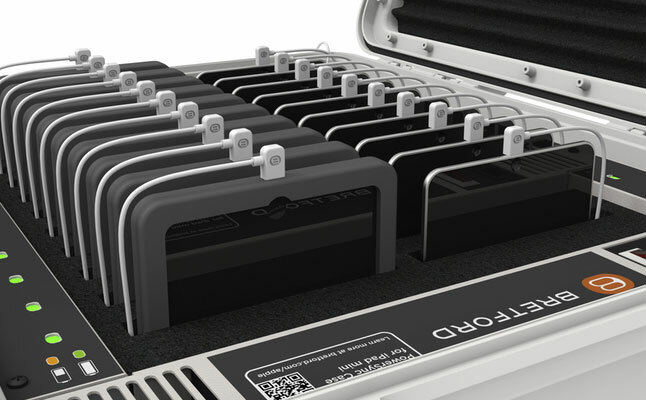 The interior of the cases is organized in a way that each device is stored separately. 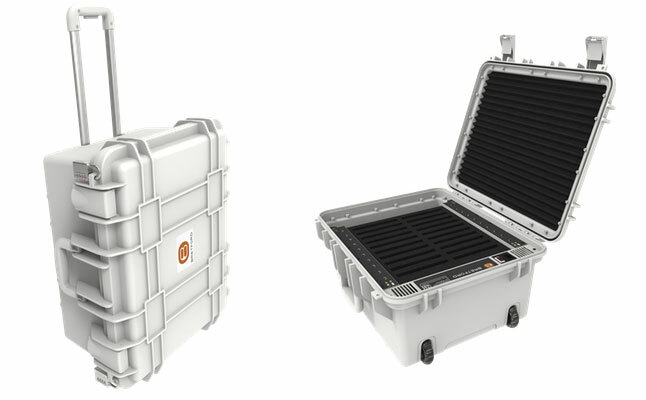 Each case features a retractable handle and a set of roller wheels ensuring easy transportation.